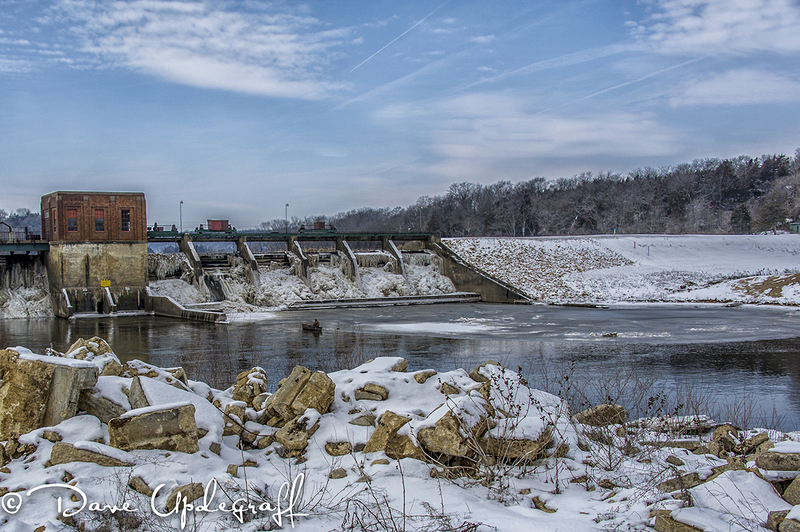 We had about a half hour before our lunch break was over so we drove out to the Maquoketa Dam. I don’t think I have ever seen such a build up of ice at the dam. 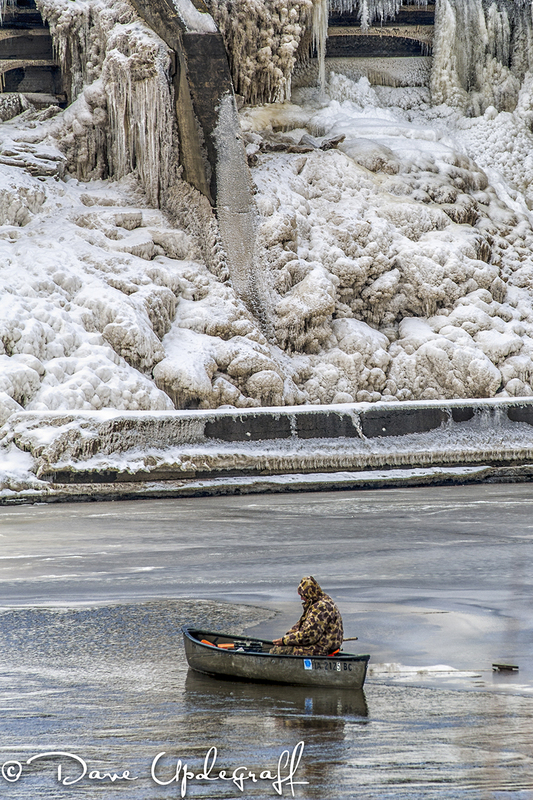 I was also surprised to see this man fishing in his boat. I captured a similar image a few weeks ago but thought the water would have still been frozen over from the last cold spell. I like the perspective of the shot above. A lot of people bring their lunch to this area and enjoy it near the river. Funny how water seems to have an attraction for us. In warmer weather there is usually a steady flow of water through the gates and it makes a nice rushing sound and I’ve taken several images of that over the years. I’ve never seen any wildlife at this location however, so that is why I have spent most of my free time at the Hurstville “duck pond.” Of course that is just a very small puddle of water anymore. Doesn’t look like that may improve at least this year unless there is a dramatic change in the weather pattern. There is a small farm on the way into Maquoketa on the Hurstville Road. I have photographed the barn there a couple of times. The barn sets up on a hill and faces the East so that at times I can shoot the barn against the setting sun. The individual who owns the property has several Peacocks. For a couple of years I have only seen three. They live in the barn and usually do not come out in bad weather. Last year I stopped on the way home and asked the owner if I could photograph the Peacocks. He said I could but that I needed to stay out of his bean fields that surround his home. I’m usually running too late in the morning to shoot them and on my way home I would be shooting directly into the sun so I haven’t taken any images of them. 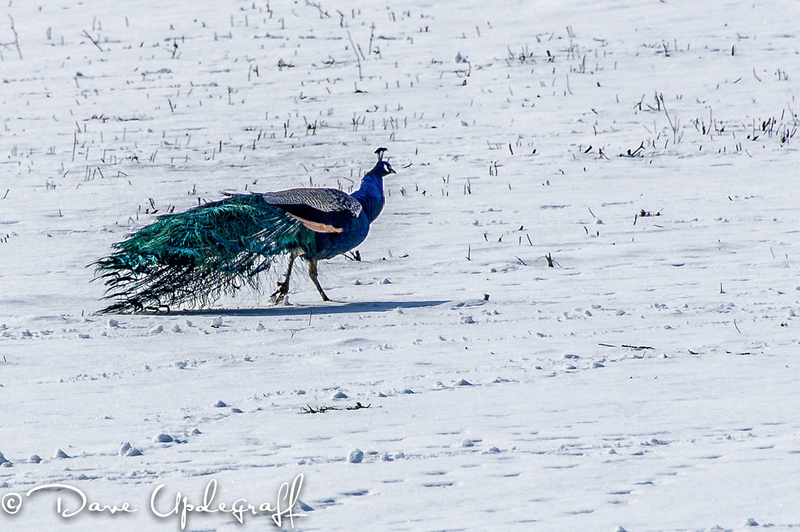 Yesterday however on our way back into to town I noticed three of them in field close to the barn. I pulled in and grabbed a few images of them. I only had the 28-300 mm lens so I wasn’t able to get much of a close up. I was starting to walk back to the car and Steve was frantically pointing behind me. 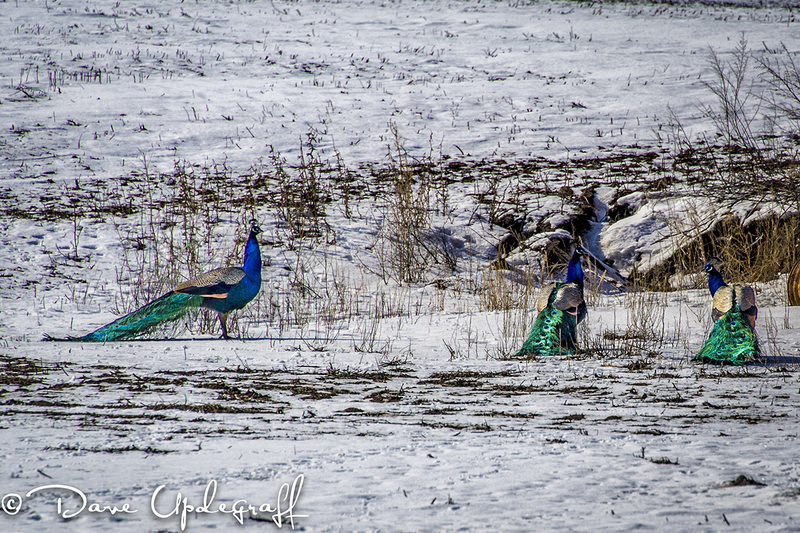 I couldn’t see anything other than there were now a couple more Peacocks that had come out of the barn. Now there were five of them. I got all the way back to the car and asked him what he was pointing at. He said (from his vantage point) he could see two more Peacocks that were between me and a small shed. Had I taken about ten steps further West I would have had a wonderful close up of two more of them. Nice to get out and shoot in some decent light. Oh and Steve even bought my lunch for an early birthday present. Thanks Buddy! Thank you for stopping by and enjoy your day. Be careful.